BRUNO LATOUR (2015-2021)—is a French philosopher, anthropologist, and sociologist, who is especially known for his work in Science and Technology Studies and considered a central figure in contemporary discourse. He is a Professor at the Institut d’Etudes Politiques de Paris, France, and part-time Centennial Professor at the London School of Economics. Professor Latour is well known for developing new lines of inquiry about materiality, modernity, ecological crises, scientific practices, religious practices, and numerous other subjects. His work provokes collaborative interactions between social scientists and bench scientists, literary critics and scholars of cutting-edge technology, archaeologists, and ecologists. His work in actor-network theory (ANT)—an approach to social theory, which explores objects as social networks—concentrates on empirically-based analyses of connections, embracing the contributions of all participants to the makings of institutions, events, and histories. Recent books include On the Modern Cult of the Factish Gods (2009: Duke University Press); Reassembling the Social: An introduction to Actor-Network Theory (2005: Oxford University Press); and Politics of Nature: How to Bring the Sciences into Democracy (2004: Harvard University Press). He has a particular gift for framing the complex in trenchant terms that clarify them for a broad audience. Professor Latour’s efforts to reach others have transported him outside the academy—involving him in the production of numerous art installations, re-enactments, MOOC’s, and digital humanities projects. 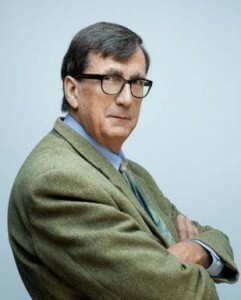 Bruno Latour is the recipient of the Holberg Memorial Prize for 2013 and the Siegfried Unseld Prize in 2008. He is Doctor Honoris Causa of five prominent universities (Lund, Montreal, Lausanne, Goteborg, and Warwick) and an elected fellow of the American Academy of Arts and Sciences. See all in Humanities, Professors-at-Large, Social Sciences category.